This week in The Great Adventure Sermon Series a disciple of Jesus Walks in fellowship. Build relationships and stay connected with us @bridgechurchcle #crossover #cleveland. This week in The Great Adventure sermon series pastor Jonathan makes sure that you pack the most important piece of equipment for the adventure. Stay connected @bridgechurchcle #crossover #cleveland. For week two of The Great Adventure Sermon Series Pastor Jonathan discuses a disciple of Jesus who loves the Word and Lives the Word. Stay connected @bridgechurchcle #crossover #cleveland. 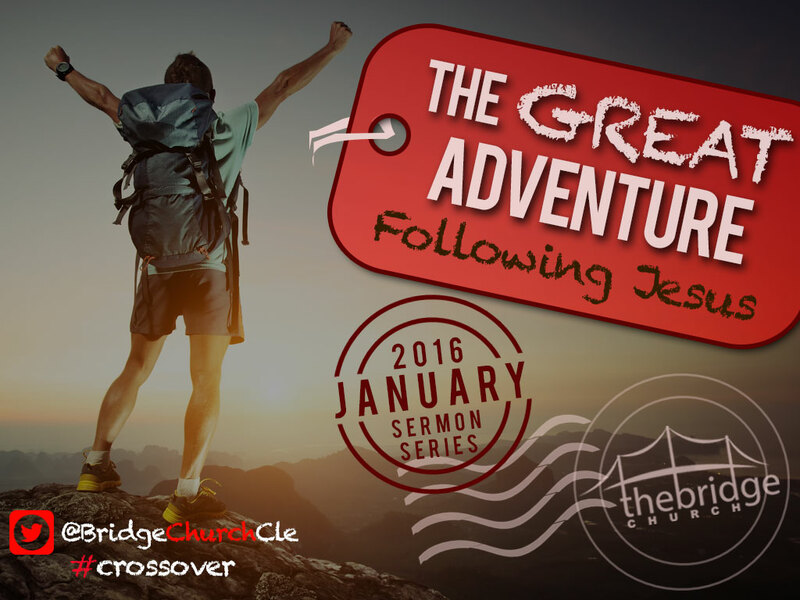 This is the first episode of The Bridge Church Podcast, The Great Adventure Sermon series, and the first sermon of 2016. This week Pastor Jonathan talks about the adventure of a little walk with Jesus. Visit us at yourbridgechurch.com. With a new year comes the new Bridge Church Podcast. We will be posting audio recordings of the Sunday sermons every week. It all starts this week so make sure to subscribe, follow, stalk, etc.